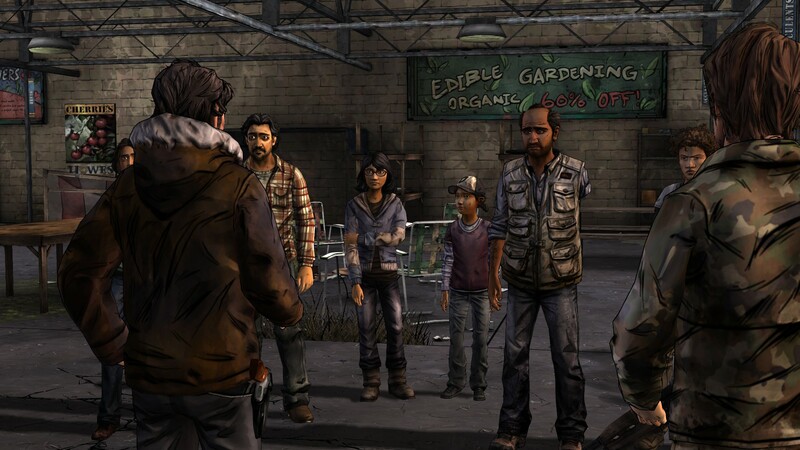 Weekly Gaming: The Walking Dead Season 2: Episode 3 (PC) SPOILERS!!! 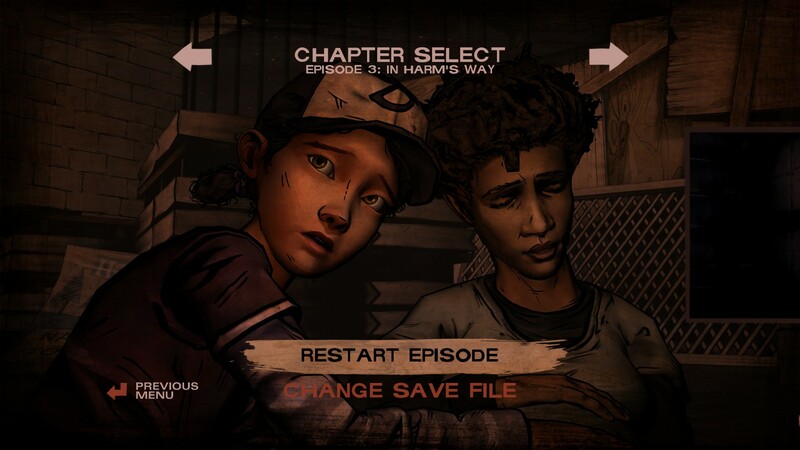 With the previous episode not getting off on the right foot for me due to (in my opinion) not much happening, I was looking forward to Episode 3 to see if Telltale games have managed to better themselves at character building and the circumstances around said characters would make for better story telling and character progression. With Episode 2 of the second season of Walking Dead not really gripping me, I was looking forward to jumping into episode 3 to see what would become of the group of characters being slaves in a supermarket, considering how angry and psychotic one of the characters behaved at the end of the last episode. This was certainly going to be a better episode if not purely for the fact the season has to make a lot of plot points to tie it all up nicely within the next 2 episodes, so with more characters, more deaths and more decisions, I was hoping for the best. The episode starts out by introducing you to a few new characters at a new place: a superstore that has been barricaded and held up. We’re told the group currently occupying the place has done such a good job of holding up that they have electricity, guns, water and are even starting to grow their own food to ensure they constantly have a food source once the rations run out. The new characters you meet are just as diverse as the rest of the characters you’ve met so far, with Reggie being a kind and sincere gentleman (who is in charge of ensuring you don’t cause a ruckus and are introduced to others safely), Mike being a harsh but up front kind of guy, and Jane being a loner that seems to have survived by herself quite well before being captured and turned into a slave. (we are told she was found with zombie guts and blood all over her, meaning she knows that this is one way to hide from zombies from our past experience in the first season). The group is told to get an early nights sleep as they’ll be working around the clock tomorrow. The group are held up and constantly watched by their superiors, ensuring that they don’t do anything out of line. It’s out here in the courtyard that you’ll actually have time to make your plans to escape, with Clementine and her small physique being put to good use in sneaking and gathering resources. On your first day of working you’re introduced to more characters that work throughout the superstore, and are even made to work for a lot of it, refilling ammo, cutting branches etc. to please Carver, the brains behind this operation. Throughout all of it you’re told this is for the best, to ensure you continue to survive and to ensure that everyone trusts each other after your group escaped once before. Throughout all of this, Carver takes Clementine aside and speaks to her one to one, asking her what it’s like to be raised in a world like this and also saying that him and her are alike, that they’re strong and need to do what has to be done in order to survive, unlike the others. It was a nice moment, one which showed a bit more of Clementines bad side which we rarely see. She may act nice, but she has to be strong in order to continue living in this hellish world. 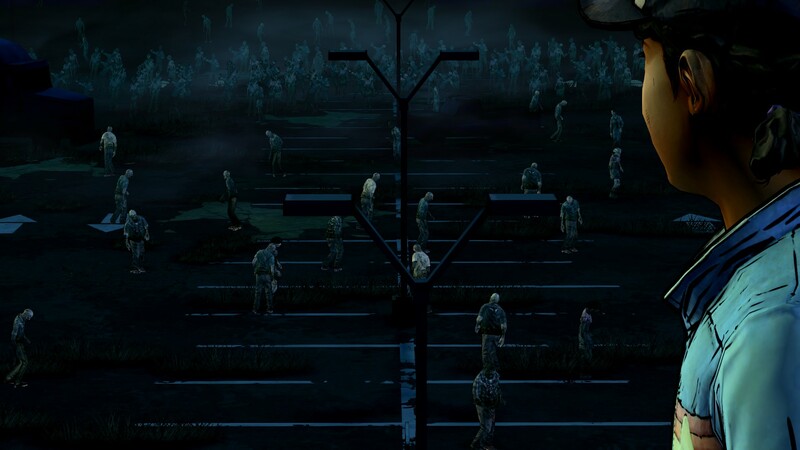 The “storm” that’s fast approaching is in fact a massive amount of zombies that are invading the superstore. Using this storm to their advantage, the group decide they’ll escape among the chaos, a wise decision but one with many troubles. After a few days of hard work, the group work on a plan to escape this “prison” by getting a walkie talkie to Luke, who managed to never get captured in the first place, and activating all of the speakers outside the supermarket to attract the hoards, ensuring their escape is masked even more. With Clementine being the smallest character, you’re kind of forced into doing most of this work for the team yourself, a task which is annoying, but allows the rest of the characters quality time to start up arguments on how they should proceed. Nick is definitely quiet in this episode, which may be because many players may have had him killed in the last episode, meaning the writers of this episode couldn’t factor him in through fear of many players not having him to begin with. Once all is in place, the final day is upon your group, all thats left now is to proceed with the plan. As Clementine you manage to sneak into the managers office, start up the microphone, and set about attracting the hoards of zombies to the building. It’s here that your group will be stopped by Carter at gun point, to which Clementine manages to dissolve the situation by jumping on him and disabling him. What follows next is pretty gruesome, but needed in progressing Clementines story and narrative for future episodes: she watches as Kenny beats Carver with a crowbar. 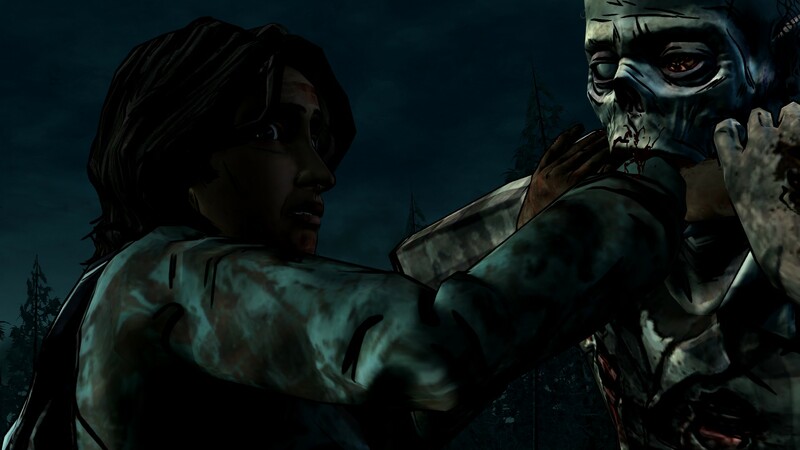 You can choose to walk away from this, but I felt it was best if Clementine saw this, to ensure she was strong for the future episodes. Decisions are reasonably big in this episode, with their consequences up front and deep. Here, you’re given the choice to kill the zombie, or cut Sarita’s arm off. I made the latter decision myself to ensure she survived (I won’t know if she did or not until the next episode). Overall the Episode was a lot more interesting than the previous one, with decisions left and right, all making me question what I actually wanted to do. There were many different groups of people making me choose between them, and I never knew the right thing to do. This episode was a perfect example of how The Walking Dead works best, with many different factors making your decisions all the more important, but with little time to make those said decisions. I found myself constantly regretting any decision I made the second I made it, with was a fantastic feeling from any game. If the last two episodes play out in any way like this one, then I’ll be happy and would have had a fulfilling and fantastic experience. The tension is building on Clementines journey north, and I for one and happy to see where this is going.